These mashed potatoes are full of fantastic flavor and are perfect for weeknight meals or holiday dinners. Ever since I was a kid, I LOVED mashed potatoes. I could cram in plates and plates of them and was told I had a hollow leg. These are so flavorful you can add a piece of protein to your plate and you’re done! LOVE that. These potatoes are easy to make and fill you up and oh the creamy buttery taste always has me wanting seconds. I added some really great flavors to the potatoes. so you’re really getting you veggies with your potatoes. Spinach and artichoke are such a great flavor combo, it was just a matter of time before they collided into this AWESOMENESS! So jazz up a weeknight meal with these are slather them on a pretty platter for the holidays and everyone will devour them! Since I love potatoes so much, maybe you do too. 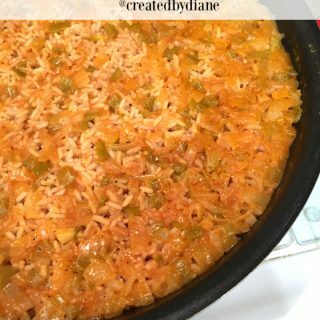 Here are some other great potato recipes I make Cheesy Baked Potatoes-this is made with frozen hash browns and wow does everyone loves this. Here are my Roasted Holiday Potatoes, super pretty and great really anytime. 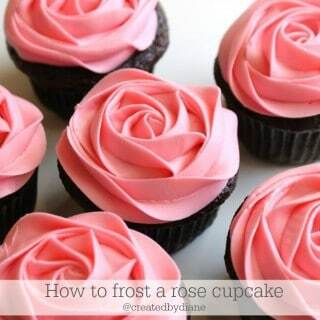 I have them on my menu to make this week. You’ll find my Perfect Potato Salad recipe here, yep…it’s pretty much perfect! And if potato salad is your thing, here’s my German Potato Salad recipe. And an all time favorite Sour Cream and Onion Mashed Potatoes. Begin by peeling and boiling the potatoes. then I rice them with a potato ricer if you don’t mind some lumps in your potatoes you can skip this step. Whip them up with some milk and butter. Then stir in fresh spinach that has been roughly chopped and add diced artichoke hearts. 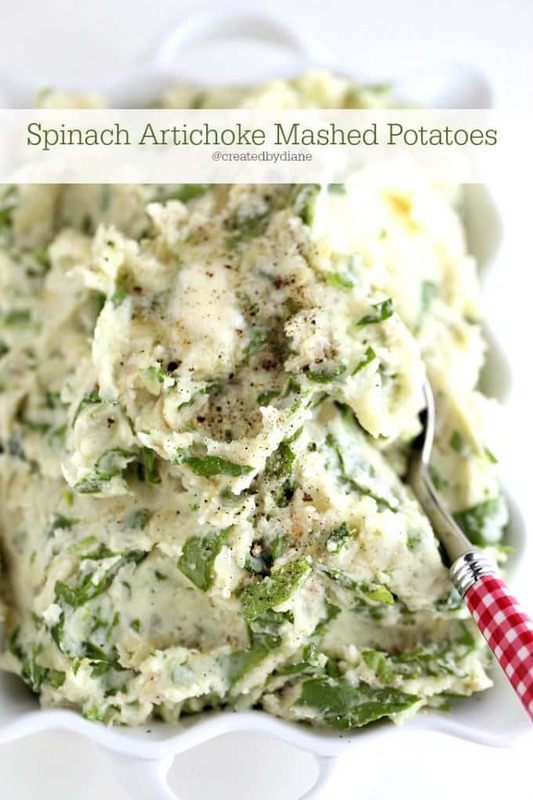 The heat of the mashed potatoes will soften the spinach nicely, without making it mushy. Serve with a little more melted butter, salt, and pepper! Double the recipe for a larger serving. Peel and cut potatoes and cover with water and bring to a boil. Once all potatoes are tender, drain them. Put potatoes through a ricer for really smooth potatoes. 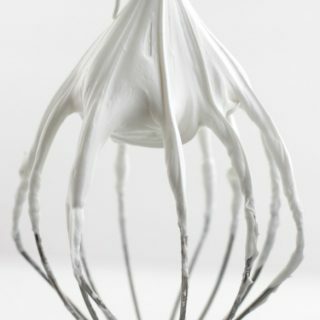 With hand mixer beat potatoes with 1 cup whole milk and 3 tablespoons butter.